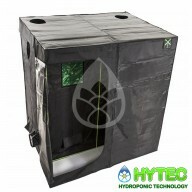 If you're interested in starting a hydroponic garden, are a novice or experienced cultivator, we recommend checking out Green-Qube tents. Designed and engineered by leading hydroponic experts, the focus of Green-Qube tents has always been "Strength, Quality Components and Innovative Design". Instantly recognisable with bright green 1mm thick (nearly double the industry standard) super strength steel poles and corners which can support more than 100kg, tents built to last. To view our range of Green-Qube Tents in-depth, click on the sub-categories below. 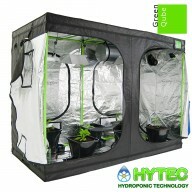 Green-Qube GQ80 - 0.8m x 0.8m x 1.8m - Grow Tent Silver Green-Qube 80 [GQ80] Dimensions: 80cm x 80cm x 180cm Poles: Über strong metal poles 25mm x 1mm with easy click connector system. Powder coated green Corners: Super strong metal 25..
Green-Qube GQ100 - 1.0m x 1.0m x 2.0m - Grow Tent Silver Green-Qube 100 [GQ100] Dimensions: 100cm x 100cm x 200cm Poles: Über strong metal poles 25mm x 1mm with easy click connector system. Powder coated green Corners: Super ..
Green-Qube GQ120L - 1.2m x 1.2m x 2.2m Green-Qube 120 [GQ120] Dimensions: 120cm x 120cm x 220cm 200cm high option also available Poles: Über strong metal poles 25mm x 1mm with easy click connector system. 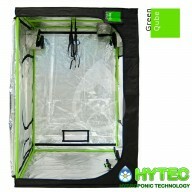 Powder coated green Corners: &n..
​X-Qube XC1224 BRAND NEW X-Qube Module Xtends your grow tent outwards, creating an Environmental Control Module to support & maintain your growing environment X-Qube Module locks in: LIGHT ODOURS HEAT HUMIDITY SOUND PLUS an all-over infra-red Thermal+ Blanket® for optimu..
Green-Qube GQ150L (New) - 1.5m x 1.5m x 2.2m - Grow Tent Silver Green-Qube 150 [GQ150] Dimensions: 150cm x 150cm x 2.2m 200cm high option also available Poles: Über strong metal 25mm x 1mm with easy click connector system. 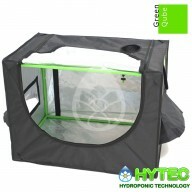 Powder coated green Corner..
Green-Qube GQ1224L (New) - 1.2m x 2.4m x 2.2m - Grow Tent Silver Green-Qube 1224 [GQ1224] Dimensions: 120cm x 240cm x 220cm 200cm high option also available Poles: Über strong metal 25mm x 1mm with easy click connector system. 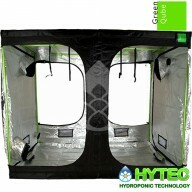 Powder coated green ..
Green-Qube GQ200L (New) - 2.0m x 2.0m x 2.2m - Grow Tent Silver Green-Qube 200 [GQ200] Dimensions: 200cm x 200cm x 220cm 200cm high option also available Poles: Über strong 25mm x 1mm with easy click connector system. 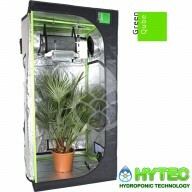 Powder coated green Corners: ..
GREEN-QUBE GQ1530L (NEW) - 1.5M X 3M X 2.2M - GROW TENT SILVER Green-Qube 1530 [GQ1530] Dimensions: 150cm x 300cm x 220cm 200cm high option also available Poles: Metal super strong 25mm x 1mm with easy click connector system. 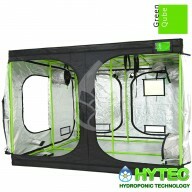 Powder coated green Cor..
Green-Qube GQ240L (New) - 2.4m x 2.4m x 2.2m - Grow Tent Silver Green-Qube 240 [GQ240] Dimensions: 240cm x 240cm x 220cm 200cm high option also available Poles: Über strong 25mm x 1mm with easy click connector system. 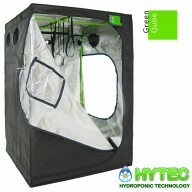 Powder coated green Corners: &n..
GREEN-QUBE GQ2030L (NEW) - 2.0M X 3M X 2.2M - GROW TENT SILVER Green-Qube 2030 [GQ2030] Dimensions: 200cm x 300cm x 220cm 200cm high option also available Poles: Über strong metal strong 25mm x 1mm with easy click connector system. 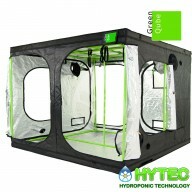 Powder coated green Corners: Super..
Green-Qube GQ300L (New) - 3.0m x 3.0m x 2.2m - Grow Tent Silver Green-Qube 300 [GQ300] Dimensions: 300cm x 300cm x 220cm 200cm high option also available Poles: Über strong metal 25mm x 1mm with easy click connector system. Powder coated green Corne..